One out of seven people in the U.S. will contract skin cancer every year. It's the most common form of cancer, and while it is often treatable, malignant melanoma can be deadly. It causes an estimated 8,700 deaths every year. So it's vital that we find better ways both to treat and prevent skin cancer. And researchers are finding that a popular oral supplement might fight this cancer even better when you apply it topically. 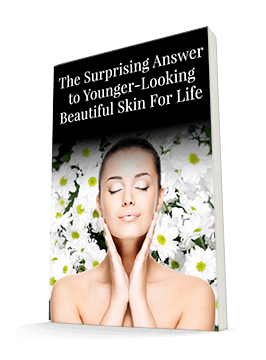 As you may know, two of your skin's biggest enemies are ultraviolet radiation and oxidative stress. Both contribute to skin aging and skin cancers. The best way to fight these enemies is with antioxidants, which combat the free radicals that can cause anything from age spots to skin cancer. One of the most potent antioxidants researchers are investigating is resveratrol. This antioxidant, found in grapes, berries, peanuts, and red wine, holds a lot of promise for keeping our skin healthy and beautiful. Oxidative stress leads to cancer when the antioxidants produced in the cells can't keep up with the production of reactive oxygen by the mitochondria. This imbalance can occur due to exposure from cigarette smoke, extreme temperature change, or exposure to UV radiation. Most of the research on antioxidants to date has focused on taking antioxidants orally. But that's beginning to change. Providing the cells with external antioxidants can help them restore their balance and stay healthy. And one of the best ways to provide these topical antioxidants is with resveratrol — the popular oral supplement. You may know about resveratrol's powerful effects against cardiovascular disease. But researchers soon found that it has potent antioxidant properties as well. It also has low toxicity and few side effects, making it very attractive as a skin care tool. Researchers have conducted multiple studies that suggest that resveratrol has chemopreventive and therapeutic effects. One study in particular found that resveratrol was able to cause apoptosis, or cell death, in two human melanoma cell lines. And another study found that it decreased the viability of melanoma cell lines without affecting the good fibroblast cells. One of the downsides of taking resveratrol orally is that it's metabolized very quickly in the body, typically within 30 to 60 minutes. That's another reason topical application is gaining popularity. Researchers are finding that applying it topically maintains its bioavailability for much longer periods of time. Resveratrol has a lot of promise in our fight to stay healthy and beautiful. While you can find it in grapes and red wine, contrary to some understandably popular ideas, drinking the amount of wine necessary to get a significant amount of resveratrol (about 1,000 liters daily) isn't the best way to help your skin. Instead, try applying it topically. You can find resveratrol in both Système 41's Night Treatment and Day Crème.